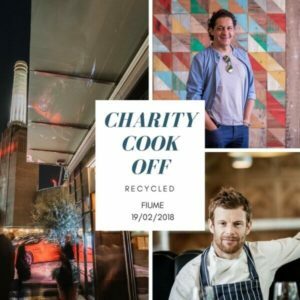 Top chefs Tom Aikens and Francesco Mazzei will go head to head in a ‘Ready Steady Cook’ challenge at Mazzei’s new restaurant Fiume on Monday 19 February. Each chef will create a number of sharing dishes from ingredients provided by The Felix Project, a charity which delivers surplus food to charities so that they can provide healthy meals to those most in need. Diners will try the dishes and vote for their favourite using the BBC show’s iconic red tomato and green pepper score cards. All proceeds from the night will go directly to The Felix Project. Tickets still available here.